Gemini Bridges trail information and map download. Plan your next dirt bike ride. Gemini Bridges trail is a 4x4 road that starts at Hwy 191 north of Moab and works its way up on to the Plateau overlooking Arches National Park. This is a mild ride from beginning to end. Gemini Bridges is natural arch formed in the slick rock. The surrounding landscape has plenty of opportunities for pictures. This is a great ride for a novice dirt bike rider. 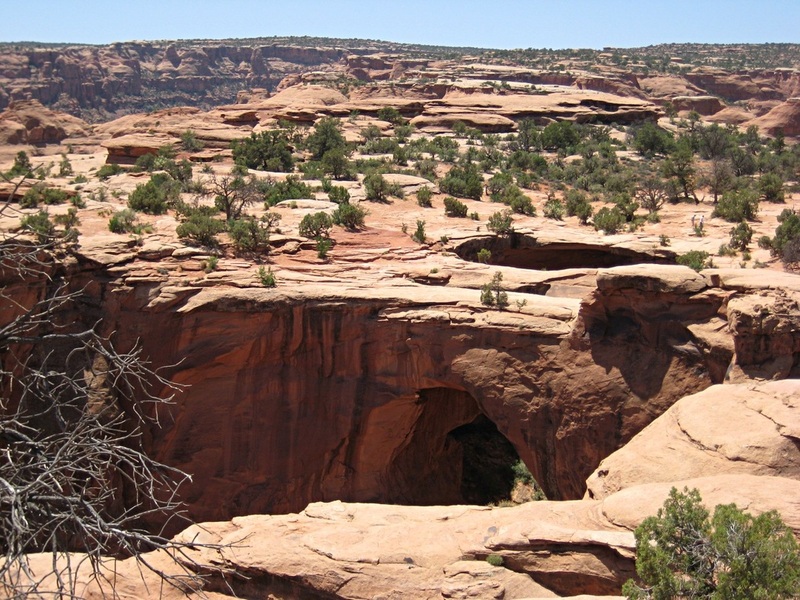 About 7 miles north of Moab park in the Gemini Bridges parking area to the west of Hwy 191. 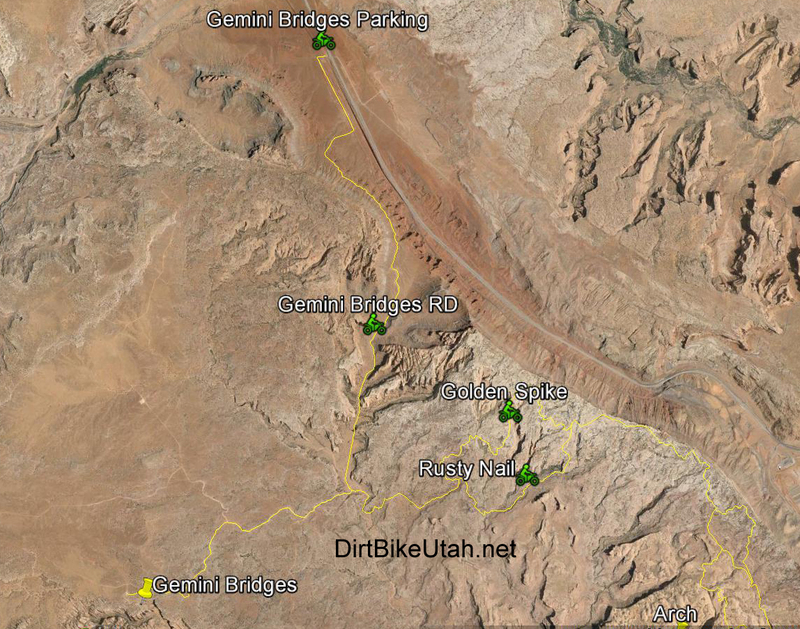 Follow Gemini Bridges RD for about 5 miles and take the right fork. Experience Gemini Bridges at night with the 1000 Lumen ThumperJockey MegaLight. Also available for Motocross bikes.